FREMANTLE, -- Two Indian Navy ships Satpura and Kamorta have been conducting training and security patrols while transiting the Indian Ocean and arrived in Fremantle on 4 June on a goodwill visit. 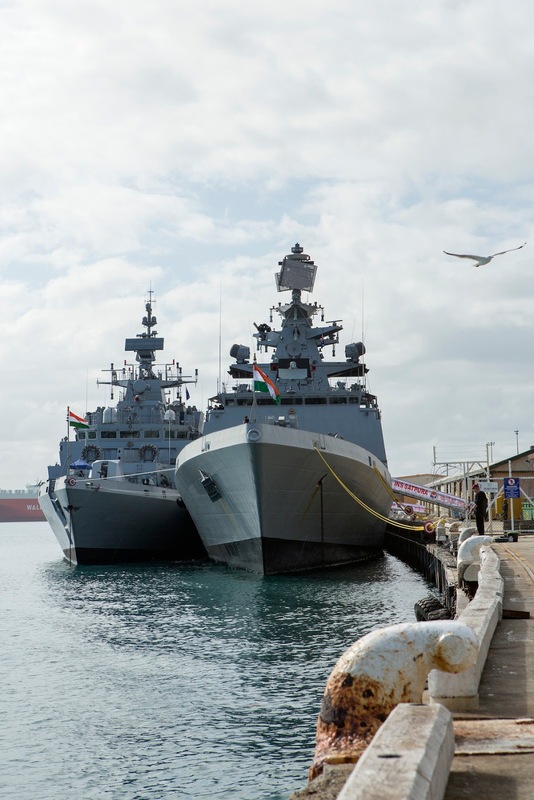 The arrival of the two ships coincides with a visit by the Indian Navy’s Eastern Naval Commander Vice Admiral Satish Soni who is in Perth to hold discussions and make preparations ahead of the Royal Australian Navy’s first bilateral maritime exercise with India. The exercise will be held in September in the Eastern Fleet exercise areas off the east coast of India. Australian Chief of Navy Vice Admiral Tim Barrett said the exercise was a significant step forward in the bilateral relationship and reflected the maturing defence relationships of both countries, lead by their respective navies. “As one of our highly valued security partners we welcome the visit by Vice Admiral Soni, Rear Admiral Singh, and the officers and sailors of Indian Navy Ships Satpura and Kamorta, as we continue to strengthen close bond between the navies of India and Australia,” Vice Admiral Barrett said. “As the Chairman of the Indian Ocean Naval Symposium I cannot emphasise enough the importance of this type of bilateral interaction. “It is important to regional security that we take every opportunity to engage with our neighbours in training activities and exchanges to further strengthen our cooperation and understanding. “India and Australia have been working collaboratively to develop confidence‑building measures under the auspices of Indian Ocean Naval Symposium and we look forward to continuing this work into the future,” he said. The INS Satpura is a Shivalik-class stealth multi-role frigate built for the Indian Navy and commissioned on 20 August 2011. The INS Kamorta, the first of four anti-submarine Kamorta-class stealth corvette, was commissioned on 12 July 2014. Indian Navy Ships Satpura and Kamorta, alongside in Fremantle, Western Australia.